So we all know Weddings are an expensive time with venue cost and floral arrangements running up the bill. But here is a guide to the best Bridal gowns on the high street where you can look a million dollars without breaking the bank. Most people think that the only way to get a cheap wedding dress is to try and order it online and hope for the best but that is not that case. A great number of our trusted high street brands are catching on to the bridal bug and you can walk away with a stunning gown and for less than you might think. So first up we have Monsoon. A British staple for event dressing however now they have started to stock Bridal gowns for all budgets. Best thing is if you are lucky enough to be located in London, Birmingham, Newcastle or Glasgow they have a personalised shopping service that can help you pick the perfect style for you. If not never fear the online website (www.monsoon.co.uk) has all your choices. Best thing is that with Free Click and Collect delivery you can have them sent to your nearest store. 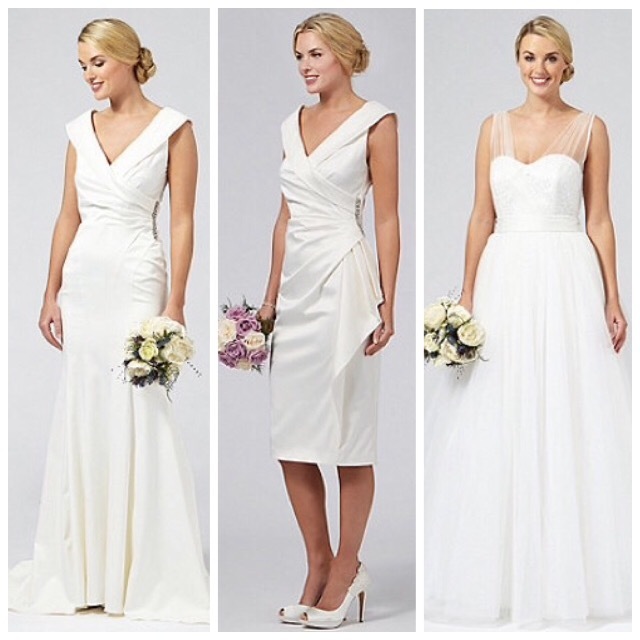 With prices starting from £199 this is a perfect place to find your bargain gown. 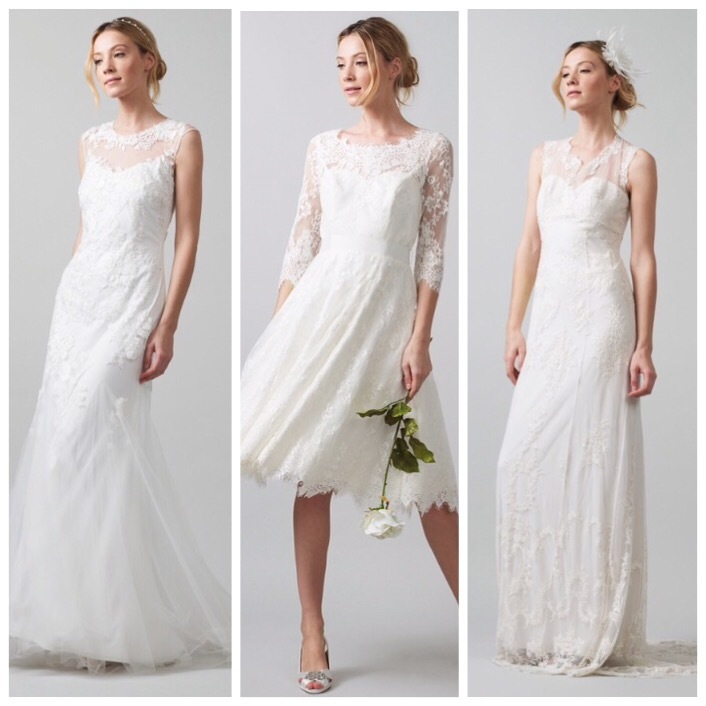 Our next great High Street Bridal find is Phase Eight. 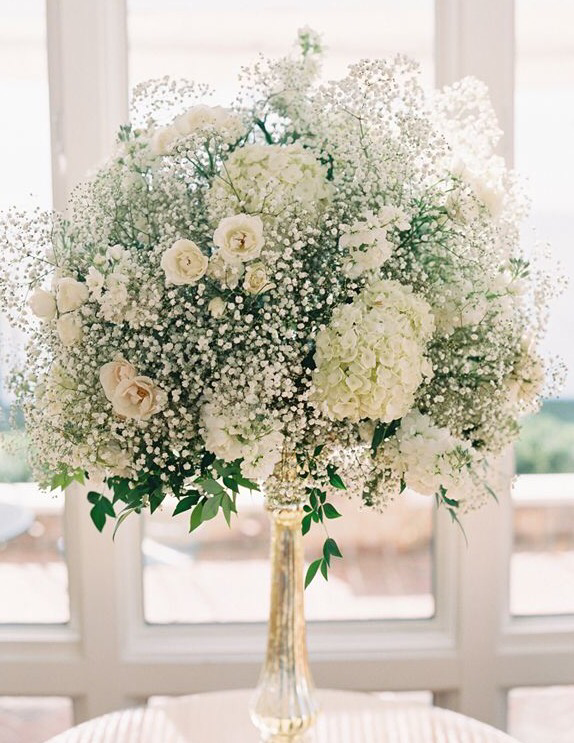 Now they have been well known for years for the great bridesmaid dress and perfect Mother of the Bride but now they have come into there own with a great Bridal selection to boost. If you are fan of delicate lace then Phase Eight is the place to go. With there collection spanning from the shorter tea length dress to full length lace elegance. There is something to suit all shapes with dresses ranging from size 6 to 20. Last but no means least is Wedding staple Debenhams. For years Debenhams have been the place to shop for Bridal, Prom and Black tie events but this season the collection has gone from strength to strength. Debenhams is really the one stop shop for everything Bridal. You can set up your Wedding list while you pick up your dress. From prices starting at £150 you can really find your perfect dress on a budget. So all in all Wedding dress do not have to break your budget and you can find some gorgeous gowns straight from the high street. The best thing about buying your dress on the high street is that there is always some great promotions out there so keep an eye on the online stores. With Easter coming up the major department store normally have a special brand event so watch this space!! !